A wide of range of gem material – both natural and synthetic - can be found in the marketplace today. There are also a number of natural gems that have been treated to improve their color or appearance. These products have become increasingly sophisticated, and details of the growth or treatment process are not always revealed, a situation that compounds the difficulty of gem identification. GIA research efforts include the characterization of natural gem materials to understand gem formation, trace element chemistry, causes of color, and geographic origin when possible. 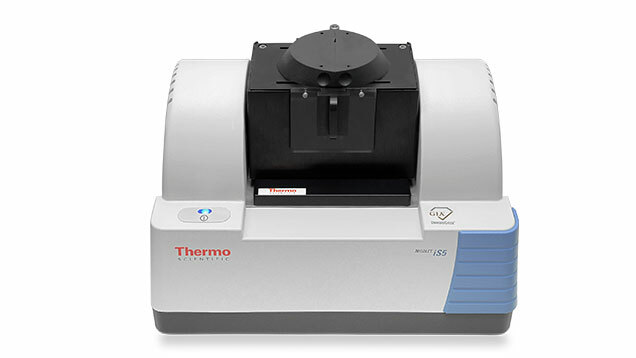 Key focus areas include treatment detection and the separation of natural from synthetic gem material. GIA is uniquely poised to conduct gemological research on a scale that few other organizations can match. 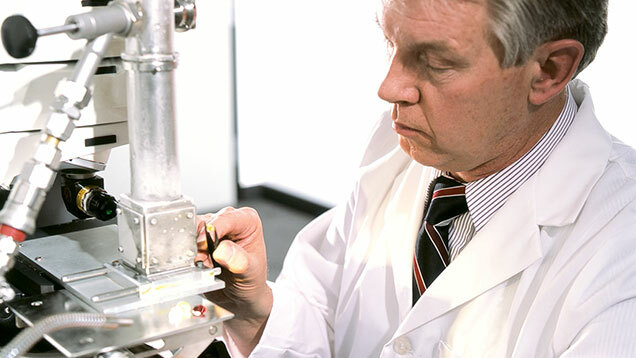 Nonprofit GIA continually reinvests its revenues into its research efforts, maintaining fully equipped, state of the art research facilities in Carlsbad (California), New York City, Bangkok and Antwerp. The Institute has unique access to gem-producing localities and a wide range of gem materials, including a database representing the hundreds of thousands of items that are submitted to its laboratories for analysis each year. GIA researchers have academic training from major universities, combined with many years of laboratory experience in gem identification. In conducting gem research, they use a variety of advanced scientific instruments, and collaborate globally with researchers from other facilities, such as the Smithsonian Natural History Museum and the Carnegie Institute in Washington, D.C.. 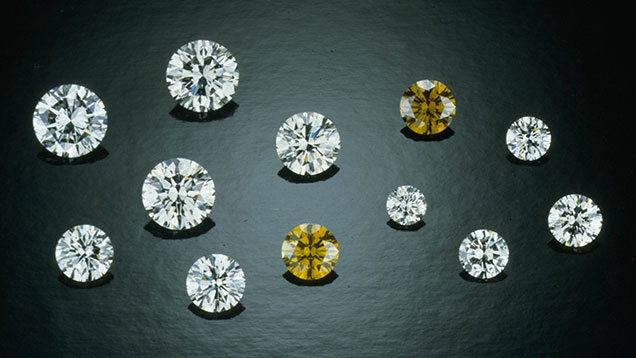 This figure shows, bottom center and to the right, six De Beers experimental synthetic diamonds: two yellow-brown samples weighing 1.04 and 1.56-ct and four near-colorless synthetics ranging from 0.41 to 0.91-ct At the top center and to the left are six natural diamonds, ranging from 1.10-ct to 2.59-ct De Beers cuttable-quality synthetic diamonds are not available commercially; they have been produced solely for research and education. Natural diamonds courtesy of Louis P. Cvelbar and Vincent Kong, Vincent's Jewelry, Los Angeles. GIA’s ongoing research projects are useful and accessible to the global research community, the public and the gem and jewelry industry. The results of its studies appear as comprehensive articles in GIA’s quarterly professional journal, Gems & Gemology (G&G) and many other prestigious publications. Research updates can also be found on GIA’s website, and through the Institute’s monthly electronic newsletter, GIA Insider. The insight acquired through research is also applied to GIA’s educational programs and professional gemological instruments. In 2014, GIA developed the GIA DiamondCheck™, a device that accurately identifies colorless natural, untreated diamonds in the D-to-N range and refers diamonds that are potentially synthetic or treated for further examination. The names of these instruments may sound cryptic, but to GIA researchers they are the tools that help unravel the mysteries of the gems. GIA has studied more than 400 important gemstones in the Edward J. Gübelin Gem Collection and is committed to sharing this repository of gemological information. GIA pursues a wide range of scientific investigations to gather and analyze data on gemstones. Our researchers hold advanced degrees in physics, geology, computer sciences, gemology, history, and more. Join a global team committed to advancing the science of gemology. Explores the usefulness of this technique in the mapping of defects and spectral features, the determination of color origin, and the identification of synthetic and treated diamond melee.